135 A.D. A WAR OF THE JEWS – coming soon!! 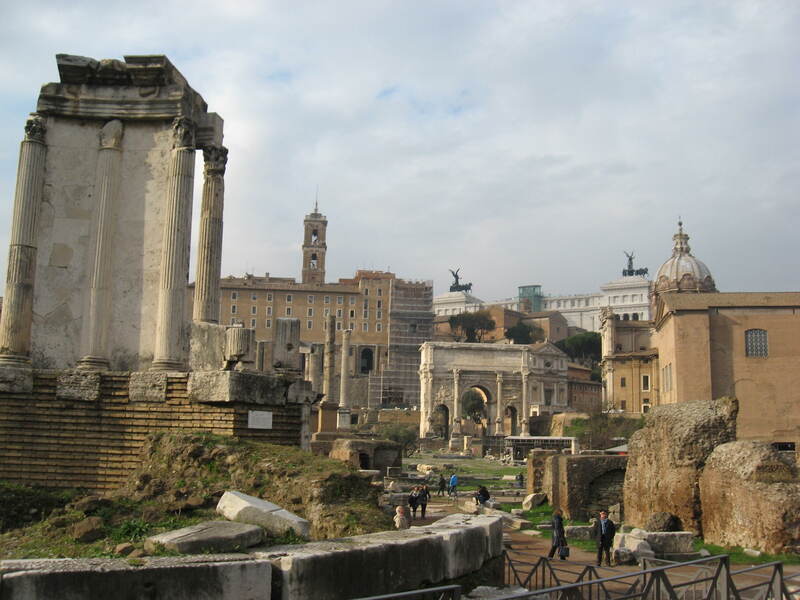 What do the Romans have to do with Nanotechnology? So, I came across one of the most bizarre, yet amazing articles the other day which involves a very unique look into a 1,600 year old piece of 4th century Roman art. This is a kind of “archaeology meets modern science” and I know each and every one of you will thoroughly enjoy reading this article published by Smithsonian.com. If the picture below doesn’t intrigue you enough to click on the article link, then please take your temperature…you may have come down with a life threatening disease…maybe the Black Plague. Anyway, enjoy the article and be prepared to get blown away by the incredible mystery of the Lycurgus Cup and the many secrets it will unveil. 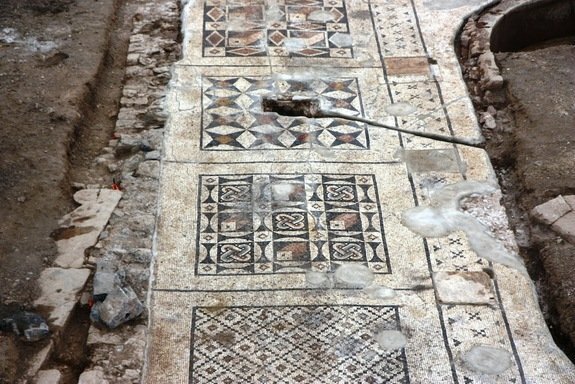 Recently, artifacts have been unearthed near Robinson’s Arch which is located at the south-western end of the Temple Mount in the Old City of Jerusalem. 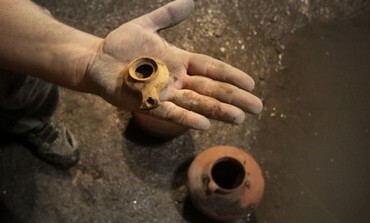 The artifacts, which contained three cooking pots and a ceramic oil lamp, were discovered in a hidden cistern beneath the ground near where the famous arch once stood 2,000 years ago. This testifies to the extreme conditions during the siege where Jews found themselves with limited food and in desperate situations. The discovery of the cistern and the cooking pots also confirms the evidence Josephus gives in his “Jewish Wars” where he describes the starvation of the people and how many would hide out in cisterns built beneath their homes in order to eat what little food remained. The discovery of the cistern, also confirms that people could not trust their fellow neighbors or the rebels for fear that their food would be seized, and so they would eat in secret. The period of the Roman siege of Jerusalem in the year 70 A.D. is a dark period in Jewish history and culminated in the city being destroyed and the Temple burned. 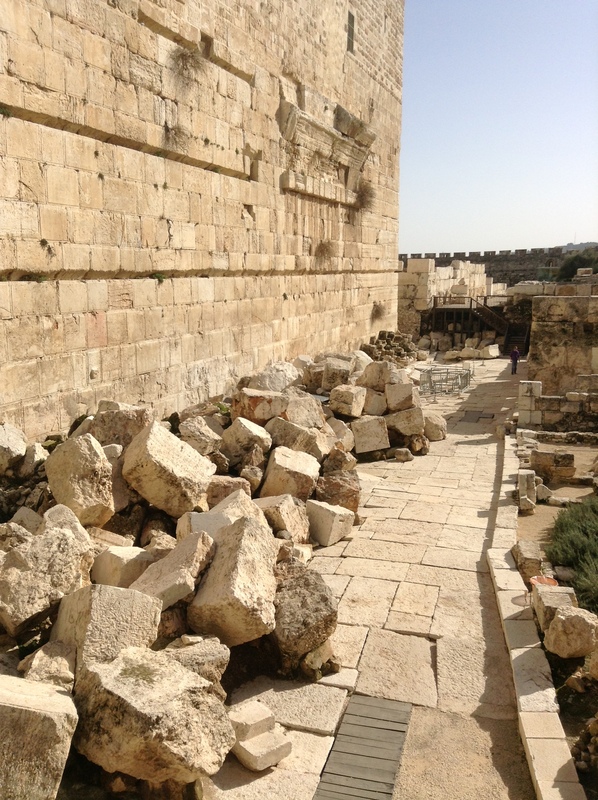 Today, this destruction can be viewed at the Davidson Archaeological Center with the massive stones that lay at the foot of the Temple Mount having been hurled onto the streets below by the Romans who pried them apart in search for melting gold from the Temple. One can also view the burnt foundations of a priestly home in the “Burnt House Museum” which is located in the Jewish Quarter not far from the Kotel (Western Wall). Both of these archaeological discoveries, including the cistern with the cooking pots, attest to the desperate struggle between the Jews and Romans in the first century A.D.
To read more of the recent discovery click on the link below. 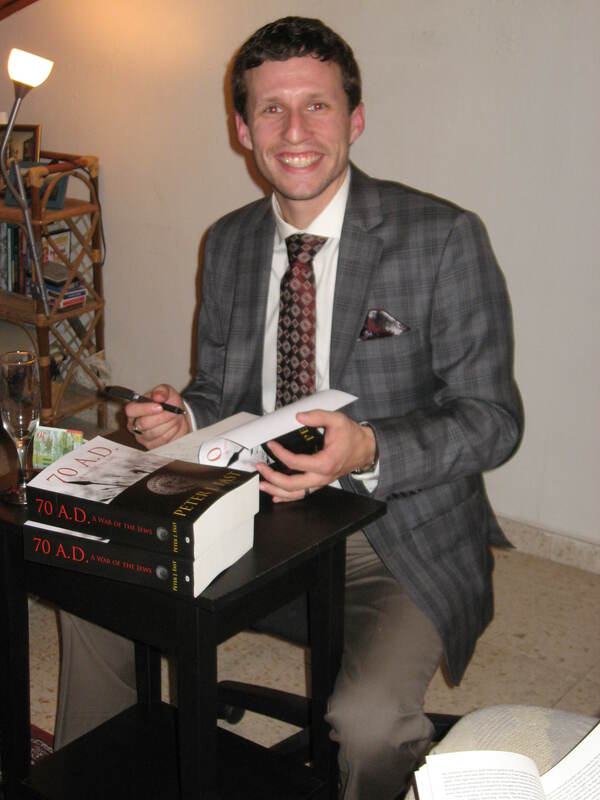 To sign or not to sign a book…that is the question. The months of February and March were exciting times for me as a published author. I was able to hold two private book signing parties for close friends in the humble atmosphere of my abode. 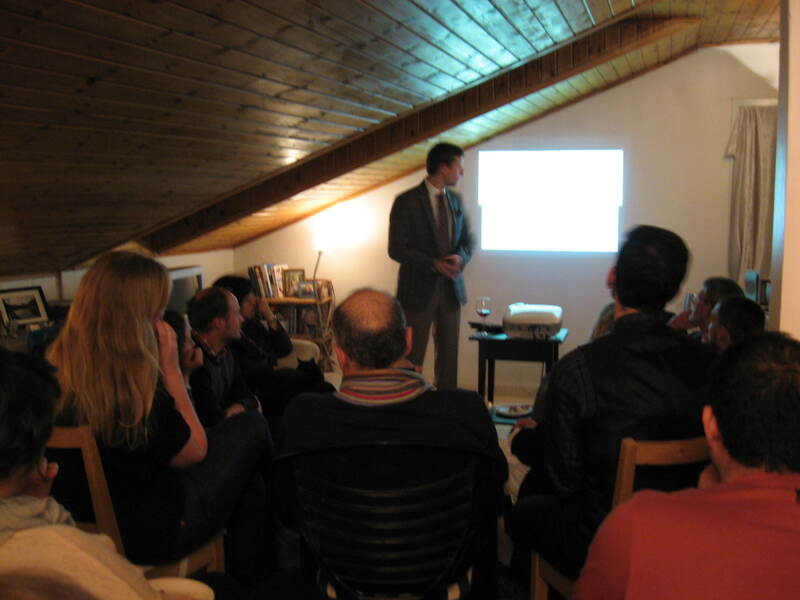 It was a wonderful time of good wine, cheese, discussion, and celebration. 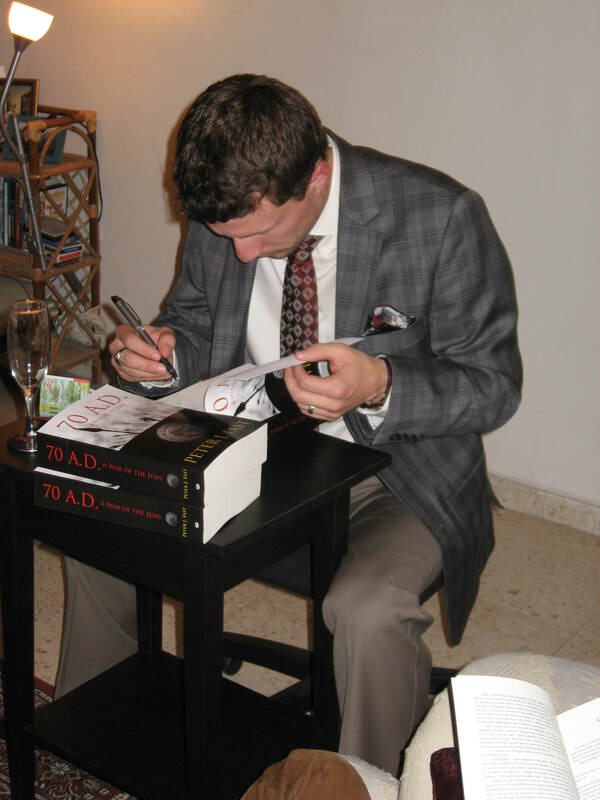 I was able to extend many “thank you’s” to those who made it possible for the publication of my first historical/fiction novel, 70 A.D. A WAR OF THE JEWS. 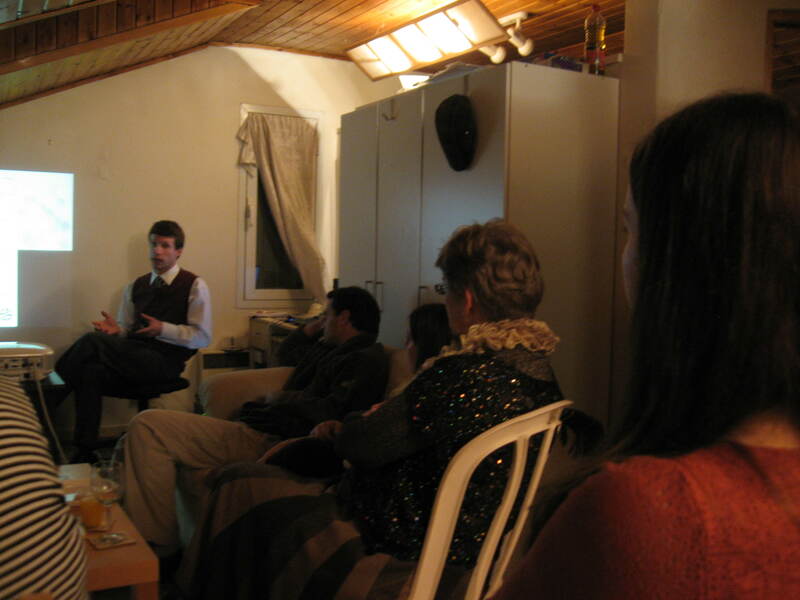 The party included a brief synopsis of the history leading up to the First Jewish Revolt against Rome, an explanation of the Jewish and Roman world in the First Century, a description of the book, and a public reading of the prologue. Then, for those interested, I signed purchased copies and we all finished the celebration with some wonderful champagne. I am pleased to say that both parties had a warm, friendly, cherished group of people who took part in this important achievement in my life, and they were able to toast further books and future endeavours. I thank you all for reading the posts on this website, for following the articles I write, for purchasing copies of my book, and for your steadfast encouragement and support you have shown me. *To purchase a copy of, “70 A.D. A WAR OF THE JEWS” click here, on the link and you will be sent to my page dedicated to the release of my novel. Once there, simply click on the preferred tab of your choice of online stores. 70 A.D. A WAR OF THE JEWS is available at: Amazon, Barnes and Noble, and through the publisher, AuthorHouse. So, recently I came across this stunning article concerning an enormous 1600 square foot Roman mosaic that has recently been uncovered this year in southern Turkey. It is the remnants of a huge bathhouse, which includes a large swimming pool. The mosaic includes some of the most intricate geometric designs and has been well preserved from the sands of time. I invite you to read the article written by Stephanie Pappas of LiveSceince and you can do so by clicking on the link below. Enjoy. An interesting discovery has just been made near the suburb of Tel Aviv called, Herzliya. 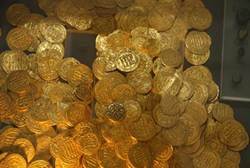 This find has turned out to be one of the largest caches of gold treasure (100 pieces of gold worth over $100,000.00). The treasure, dates back to the period of the 11th century when the coins were minted in Egypt, and then buried later in the 13th century during the later half of the Crusades. They were discovered buried in a large vessel near the Crusader fortress of Apollonia, which saw much action during the time of England’s king, Richard the Lionheart and most likely around the time of the Battle of Arsuf (1191 AD- Third Crusade) which was between King Richard and the Mameluk ruler Saladin. Also uncovered were the remains of weapons including, stone catapult missiles and a large hoard of arrow heads which all attest to the brutal siege and battles that were fought in this area. Apollonia has also revealed connections to the Roman, Phoenician, and early Islamic periods which archaeologists have made extensive finds. The discovery of the gold and other artifacts is being carried out by a joint effort between the Tel Aviv University and the Nature Parks Authority of Israel. I have attached a link to the website which was posted by Arutz Sheva 7 which is a major news outlet in Israel. So, if you wish to read the entire article then just click on the link http://www.israelnationalnews.com/News/News.aspx/157609 and it will open in a new window for you. Enjoy. 23 So the next day, when Agrippa and Bernice had come with great pomp, and had entered the auditorium with the commanders and the prominent men of the city, at Festus’ command Paul was brought in. The city of Caesarea Maritima was located in the Roman province of Samaria, with Judea and Idumea to the south, and Galilee and Syro-Phoenicia to the north. It was developed along the coast of the Mediterranean Sea in northern Israel along the Sharon Plain, which runs thirty by ten miles and is a flat area that consists of soils washed down from the hills. To the north can be found the Shephlah Carmel, which is a range of mountains that runs inland to the east. This creates medium-sized ridges with broad lush and rich fertile plains and valleys between them. 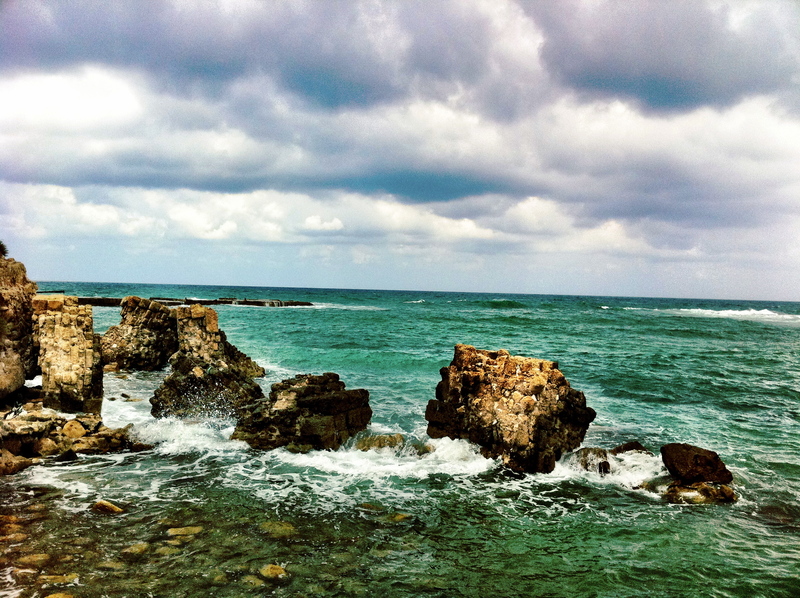 Since it is further north, Caesarea Maritima can receive between 28-32 inches of rain during the rainy season (December to March) and experience sea storms and high tides. However, during the heat of summer, the rich soils around the city and in the coastal plain are excellent for growing citrus crops which can still be seen today. Caesarea Maritima was built and dedicated by Herod the Great in the year 10 BC, after twelve years of construction, and established as the main port city of the land. He built it in a Hellenistic fashion as it possessed a theater, amphitheater, hippodrome, temples, and a man-made port of breakwaters, docks, and quays which could harbor over six hundred ships. Thus it became a city of trade and commerce. Dedicated to the Emperor Augustus, the city soon became the Roman administrative capital of the land and rivaled other port cities such as Tyre, Sidon, and Byblos in the north, or Joppa in the south. Due to the soils washed down from the mountains, swamps had been created which posed as an obstacle to Herod the Great through his construction. Therefore, his plan was to drain the swamps by cutting channels to the sea, and then bring in fresh water by tunnels and aqueducts from springs located at the foot of Mount Hermon twelve miles to the northeast. Since Caesarea Maritima was the seat of Roman power in the land, once Paul had appealed to Caesar following his arrest, he was brought to the city to be placed in confinement until he could be transported to Rome. His place of confinement is believed to be the Sea Palace which juts out into the sea upon a created land bridge of stone. It was built according to all the wealth and pleasures of the day, including swimming pools and baths, and it was most likely here that Paul would have been placed under house arrest. The reasoning behind this was since he was a Roman citizen and had appealed to Caesar, he would have had to be treated with care and this would be a likely place to hold him. The account in the Book of Acts has Festus, Governor of the land, speaking about Paul with King Agrippa II and his sister who have arrived in Caesarea. Agrippa mentions to Festus that he would like to hear Paul speak in defense and Festus makes the arrangements for the next day for it to be held in the auditorium, or amphitheater. The importance of the city and its location along major roadways made it a prime geographical place for Paul to be held. Since it was the administrative capital and the largest port, therefore once Festus had questioned him in Jerusalem and agreed to transport Paul to Rome, Caesarea would be the natural place to send him to first. The geography of the city and its layout played a direct part in Paul’s trial. Not only was he held there, but he was given a platform to speak and defend himself in the amphitheater. Acts 25:23 mentions that Festus, King Agrippa, his sister Bernice, commanders, and prominent men of the city entered the auditorium/amphitheater and that Paul was brought before them to defend his faith. The amphitheater still stands today and has had extensive excavations done to it which reveal its size, entrances, and architecture, but also show the places where dignitaries would have sat. Therefore, we know where Festus, Agrippa, and Bernice would have sat, and most likely, as trials were public events, the theater could have been full, that is with nearly five thousand people. In the lands of Pontus and Armenia Minor (northern Anatolia- present day Turkey) a king would arise from a long line of rulers that had stood diametrically opposed to the emerging power of Rome. In the year 120 B.C., Mithridates VI would rise to be king of an empire that would once again challenge the supremacy of the known world from the ever tightening grasp of Roman influence. In time, Mithridates would take the title, “the Great” or Megas and would also be known as Eupator Dionysius. The title, “Eupator” means, “born of a noble father” and his connection to the god of wine and revelry, Dionysius (Bacchus-Roman), is evident. To understand the opposition Mithridates VI felt towards Rome we must explore his early roots, ancestry, and his rise to power as a influential king. 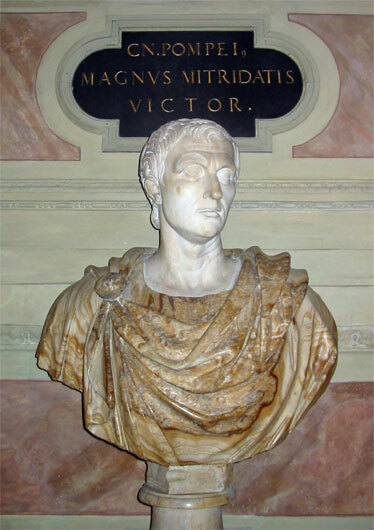 Mithridates was a prince of Persian and Greek Macedonian ancestry. He claimed descent from the Persian King Darius I, and was descended from the generals and kings of Alexander the Great: Antigonus I Monophthalmus, Seleucus I Nicator, and Regent, Antipater (http://en.wikipedia.org/wiki/Mithridates_VI_of_Pontus). 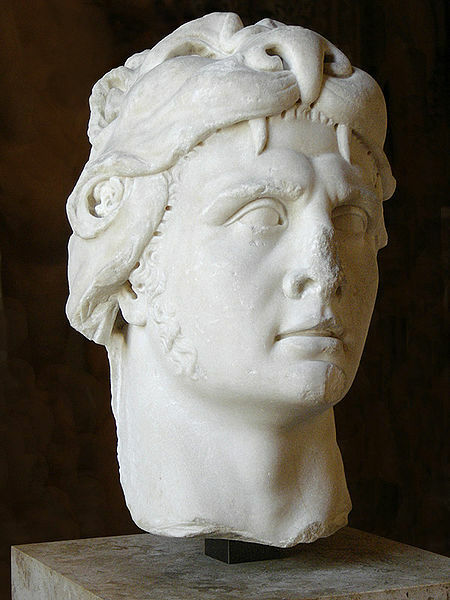 Mithridates was raised in the Kingdom of Pontus and had direct ties with the Seleucid Kingdom. As royalty, he would grow up in the courts of Pontus, learn how to dictate and rule an empire, but most importantly to hold onto power and resist all influence of the perceived threat and enemy of Rome. The previous ruler and king, Mithridates V, would be assassinated by poison at a banquet in 120 B.C. in the city of Sinope, the same place where Mithridates VI was born, and the kingdom would pass to Mithridates VI and his brother Mithridates Chrestus. However, they were both too young to rule and the throne would be temporarily led by their mother, Laodice VI as regent. She would rule as regent from 120-116 B.C. (perhaps to 113 B.C.) and it became known that she favoured Mithridates Chrestus over his brother Mithridates, and so Mithridates escaped his mother, (whom he felt desired to kill him) and went into hiding. Between the years 116-113 B.C. history shows us that Mithridates returned to Pontus, and in a series of events was hailed as “King” by the people which was a challenge to his mother and brother who had been ruling as co-regent. Through this grab for power, Mithridates was able to usurp the throne, and threw both his mother and brother into prison and both were shown clemency. Later, Mithridates mother Laodice VI would die of natural causes in prison and his brother (Mithridates Chrestus) would also die, however it is not clear if this was a natural death or an execution. Thus, Mithridates VI would finally stand alone as the sole ruler and king of Pontus. He gave both his mother and brother a royal funeral, and following this took his older sister (of 16 years), also named Laodice, as his wife to preserve the royal bloodlines and to insure the succession of legitimate children which was a common practice among Persian rulers and found among the dynasties of the Seleucid and Ptolemies. His ideals soon became clear, Mithridates VI, now king of Pontus and a vast kingdom, desired to make his empire the dominant force to reckon with in the Black Sea region and the Anatolia. Time would soon tell. Perhaps because of the common use of poison as a tool for assassination, and because the King Mithridates V was murdered by poison, Mithridates VI soon developed a paranoia that he to might one day succumb to such a fate. The understanding that a king of much power and influence has enemies, is always a clear notion. With the fact that in those times, slipping poison into food or drink was a reality that had been one of the choice methods of assassination for thousands of years, Mithridates began a rigid program to educate himself on every form of poison. It was common for him to mix different herbs together, develop lethal poisons and then take small, self-administered, non-lethal doses in order to ensure that his immune system would be able to survive. He studied everything he could get his hands on, and consulted some of his most trusted advisers. Such was his desire to avoid death by poison, that it became a serious fear of his in an attempt to make sure he was immune to every type and consistency of poison. In our present day, this practice has become known as, Mithridatism which is a system that is practiced in parts of the world and in unique fields, such as snake handlers or people who work with poisons of a special nature. With a desire to expand his kingdom, Mithridates set out on a series of conquests that would eventually land him in the very lap of fighting Rome. Mithridates subjugated the people of Colchis and then clashed with the Scythian King Palacus in the Pontic steppe. Other kingdoms surrendered to Mithridates, such as the Crimea and Bosporan kingdoms in return for Mithridates to protect them against the Scythian power. Within time, and after a number of engagements where the Scythian’s lost numerous battles with heavy losses, they submitted to Mithridates and accepted him as their overlord. The next step, however would be crucial and lead directly to confrontation with Rome. After great success in the Crimea, the young Mithridates turned his attention to deeper in the Anatolia region and the rise of the Roman Republic which was nearing him. Close to the borders of Mithridates VI’s kingdom, reigned King Nicomedes III of Bithynia who was steering his kingdom to an anti-Pontic alliance with Rome which Mithridates clearly did not approve of. In past years, Nicomedes III and Mithridates VI had coexisted with a shaky agreement, but now there was a fall out between the two kings over the area of Cappadocia, and Nicomedes III lost a number of hard fought battles. Reeling from the defeats and feeling the pressure from Mithridates VI’s ever encroaching threat, King Nicomedes III of Bithynia had no choice but to call on the assistance of his fostering alliance with Rome. For Mithridates VI, this left him no choice but to engage head on with Rome, if he ever desired to continue expansion. Thus, Roman legions would intervene, on behalf of Nicomedes III twice during the conflicts of 95-92 B.C., forcing Mithridates VI to a standstill and bolstering up defenses so the Pontic king could not expand. The next ruler of Bithynia was Nicomedes VI and Mithridates planned and conspired to overthrow the new ruler, but he failed and the Bithynia ruler, at the behest of his Roman advisers, declared war against Pontus. At this time, however, Rome was entangled in the mess of the Social War, and the Italian countryside was a slew of inner fighting, murder, and pillage for dominance and control. During this time only two Roman legions remained in Macedonia and with a coordinated invasion alongside an army from Bithynia, they attacked the Kingdom of Pontus in 89 B.C. However, things would quickly swing in Mithdirates’ favour as he would trounce and defeat the Roman-allied army and drive them out swiftly. In the wake of defeat, the victorious armies of Mithridates were welcomed into Anatolia where they conquered it in full in the year 88 B.C.. Mithridates then set out upon orchestrating a massacre of all Roman and Italian settlers who remained in Anatolian cities wiping out the entire Roman presence, 80,000 in all. This incident would forever be known as the “Asiatic Vespers” and the Romans would respond by raising a large invasion force. Mithridates set himself up as the champion of Hellenism and having absorbed Greeks and Ionian Greeks into much of his newly expanded kingdom, made himself appear as the saviour of Greek ideals and life. Thus, Mithridates would be accepted by Athens who would defect to his side and welcome him into mainland Greece. During this time, Mithridates also sped up his vicious war against Rome, even bringing it to the island of Rhodes where he besieged the colony with a war fleet. With this, the neighbouring kingdom of Armenia, King Tigranes the Great, established an alliance with Mithridates by marrying one of his daughters, and would later become instrumental in the coming war with Rome. The First Mithridatic War would see the Roman General Lucius Cornelius Sulla win a number of decisive victories over Mithridates VI and force the Pontic king out of Greece altogether. However, after receiving troubling news about anarchy in Rome from his political enemy Gaius Marius, Sulla would make a hasty treaty with Mithridates and leave for Italy. The Roman forces which remained, would be commanded by a man named, Lucius Licinius Murena who would by the year 83 B.C. pursue the war with Mithridates (out of account that Mithridates rallied his forces and posed another threat) since the Senate had never ratified Sulla’s treaty to begin with. This would usher in the Second Mithridatic War which would see the seasoned forces of Mithridates destroy the “green” legions of Murena before a shaky peace was reached in the year 81 B.C.. When Necomedes VI died nearly a decade later, he left in his will his desire to bequest his kingdom over to Rome. For Mithridates VI this would be the worse situation the Pontic king could ever conceive of as he raised a large army and attacked again prompting the Third Mithridatic War which would last from 73-63 B.C.. Yet, for Mithridates and his long arduous record with fighting Rome, this would be his last war. First Rome responded with sending armies under General Lucullus and then finally under Pompey who would drive deeply into the Pontic Kingdom and destroy all resistance by 63 B.C., thus ending the war on a large scale. Mithridates VI, however, would survive for a little while longer as he fled with a small army to Colchis (modern Georgia) to the lands of the Crimea. There, with his eldest son, Mithridates VI made plans to assemble a great and vast army to once again march against Pompey and the Romans and take back his captured kingdom. Yet, soon his eldest son rejected the plan and refused to march to war, Mithridates had his son killed and seized control of the Bosporan kingdom. He sought to raise forces but would struggle as inner civil war among his family and Roman exiles within his army would rage. Finally, Mithridates would withdraw in shame to the citadel in Panticapaeum where he was surrounded by his enemies who sought to overthrow him. With no way out, and the great king and enemy of Rome sensing his end, he decided on his terms to take the noble way out…suicide. However, his years of strengthening his immune system against the use of poison would prove to be his greatest enemy in his final moments as the despondent and furious king attempted to take his life by poison but found it was to no avail. Thus, ordering a mercenary to run him through with his sword, Mithridates committed suicide and brought to an end the great Pontic Kingdom and its ruler who hated Rome. In the end, ironically, it would be a representative of Rome, the champion Pompey Magnus, who would take the body of Mithridates VI, and bury him in the rock-cut tombs of his ancestors in Amasya, which had been the old capital of the kingdom of Pontus, and the heart of Mithridates VI Eupator Dionysius’ kingdom.